Our product range includes a wide range of salima 350 plate, ibr alloy steel pipe, steel rods, s 690 high tensile plates, high strength steel plate and alloy steel plates. Owing to the expertise of our professionals, we have emerged as the foremost organization of an excellent quality array of Salima 350 Plate. Being a quality-oriented organization, we assure our clients that this plate is best in quality. Our vendor’s skilled professionals only utilize fine quality raw material, while manufacturing the entire range of plate. Moreover, our offered plate can be availed in a wide range of sizes and shapes, as per the requirements of our esteemed clients. IS-226, IS-2062 GR. A/B, A-36, IS-3039, IS-5986, IS-8500 etc. With the consistent effort of our professionals, we have been able to offer collective collections of Steel Rod to our valuable customers. These products are precisely designed and constructed by superior quality raw materials and sophisticated machinery. Our bars are highly appreciated for their seamless finish, rigid construction and abrasion resistance. Our organization has successfully expanded its business in market owing to the offered elevated quality array of S 690 High Tensile Plates. The offered plates are manufactured utilizing superior quality raw material and latest technology at our vendors end. Moreover, a team of our quality controllers conducts a series of quality tests on the entire range to seek out any possible defect. In tune with industry standard, we provide the entire range of plates in various customized options and industrial leading prices. 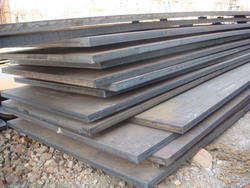 As per the variegated requirements of our clients, we are offering a broad collection of High Strength Steel Plate. It is used in various industries including food and pharmaceutical for different types of packaging. This foil is manufactured using excellent quality raw material and latest technology by our vendor’s skilled professionals. In order to ensure quality, this foil is stringently tested on various parameters by our vendors. Apart from this, remarkable quality and sturdy structure increase the demand of our offered foil in the market. 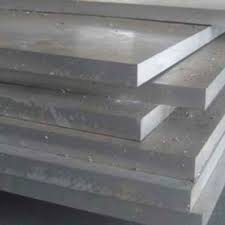 We are an acclaimed name engaged in offering our precious clients a superior quality range of Alloy Steel Plates that are used in different engineering industries. These plates are manufactured using optimum grade raw material and sophisticated technology in synchronization with industry standards at our vendors end. In order to ensure quality, the entire range is rigorously tested on various parameters by our quality controllers. Keeping in mind the diverse requirements of our clients, we provide entire range in various sizes and specifications and at affordable prices. 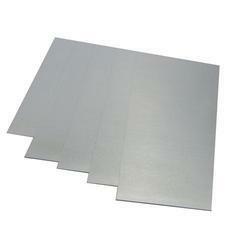 We are largest stockist of Special grade plates, we have large stock of Alloy Steel Plates. Sizes ranging from 5mm to 25mm. 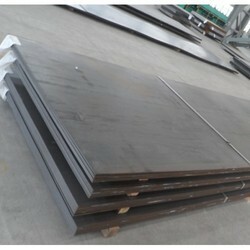 Other products are Boiler Quality Plates, Wear Resistant Plates, High Tensile Plates, Hardox 400 etc. 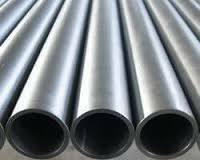 We are a renowned supplier and exporter of high-quality Alloy Steel Rods. These rods are highly appreciated by our clients for their tensile strength, perfect finish, corrosion resistance, easy installation and long working life. 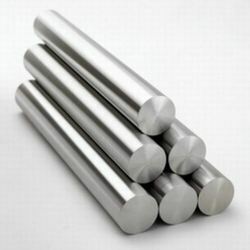 Alloy Steel Rods are widely used in automobile, engineering, and many other industries for various applications. We are offering our range in different dimensions as per the client's individual requirements. 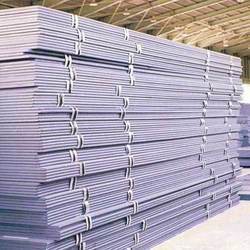 Alloy SteelSheets is broadly appreciated owing to their durability, precise dimension, corrosion resistance and sturdy construction. Our range of these products is widely used in automobile and various other industries. These products are used at all both large and small-scale industries. These are made in different shapes and sizes in order to meet market demands and client’s specifications. 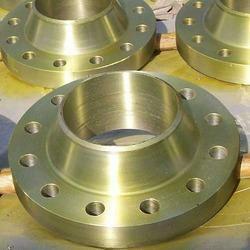 Alloy Steel Flanges is enormously used in engineering, automobiles and heavy industries for various applications. 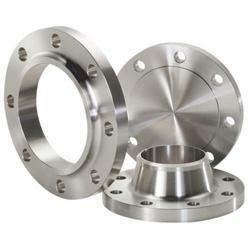 Our flanges are highly applauded due to their significant properties such as tensile strength, perfect finish, corrosion resistance, easy installation. These are also available in an assortment of customized specifications to suit the various necessities of the clients. Our clients can avail from us at most reasonable prices. Our organization is offering our clients a huge variety of Pipes. 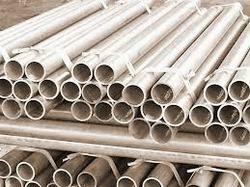 These Pipes are designed and fabricated as per the international standards using high quality raw material. 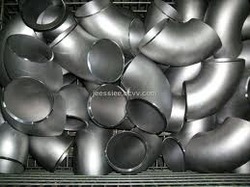 We procure our complete product range of Pipes only from trusted vendors to ensure its premium quality and performance. 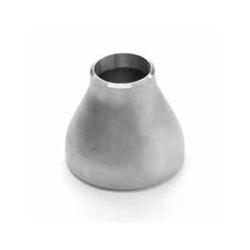 We offer a wide range of Alloy Steel End Cap that are used to blind the pipeline. They help to stop the flow from one end in a pipeline. We supply ready to install end caps in different dimensions specifications to meet the requirements of the clients. 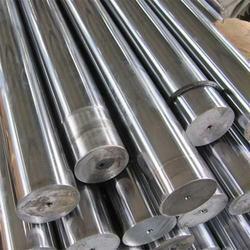 This High corrosion Nickel Alloy Material is used in Oil & Gas, Heat Exchangers, Aerospace, Pharmaceutical, Defense. 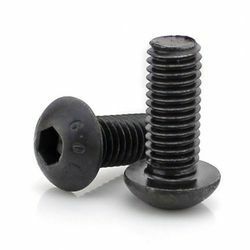 Alloy Steel End Cap is Durability, rust and heat resistance is some of the features which make these products high in demand. Furthermore, they are used in industries like energy industry, paper mills, textile industry, chemical industry, dairy plant, machinery fabrications, oil and gas industry, ships industry and other associated industries. 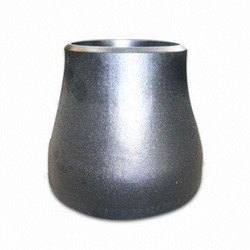 We have capacity to fabricate Alloy Steel Reducers for different industrial applications. Made of excellent quality alloy steel, we can fabricate reducers in numerous specifications as per the requirements of our clients. 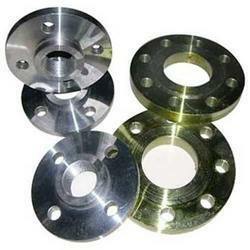 All these Alloy Steel Reducers are also widely demanded in the market and are also durable as well as easy to install. These reducers being durable and rust proof are widely in market demand. These Concentric Reducers and Eccentric Reducers find application in sugar mills & distilleries, pumps & petrochemicals, cement & construction industries, and steel plants. We are offering an extensive range of Alloy Steel Concentric Reducers which is available in different forms one is concentric these concentric reducers find application in sugar mills & distilleries, pumps & petrochemicals, cement & construction industries, and steel plants. Further these reducers have inlet and outlet ends and align to a common center line. These products are highly recommended for superior quality, high performance and durability. Alloy steel concentric reducers provide an in-line conical transition between pressurized pipes of differing diameters. While climbing on the success ladder, it has become increasingly important for us to deliver precisely tested and high grade assortment of Brass Alloys. 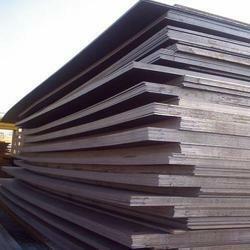 The offered alloys are manufactured using high grade raw material and contemporary technology. We assure our clients that our alloys are quality tested on predefined parameters, in order to meet industry standards. Apart from this our prestigious clients can avail the entire range, as per their needs, at highly competitive price. 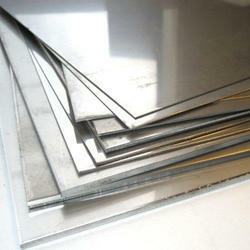 Steel mart are presenting alloy plates that are made with supreme quality. Available in different grades and configurations, the alloy plates manufactured by us hold high tensile strength and possess longer service life. Our complete in house facilities for quality check with all inspection requirements ensure the product range to an excellent standard of quality and performance. 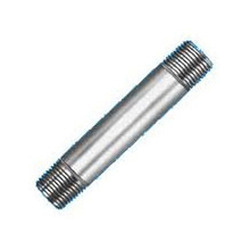 Alloy Steel Buttweld Fitting is widely used in petrochemical, engineering, chemical and many other industries. These are available in various sizes, shapes and design as per the clients’ requirements. We fabricate these fittings using outstanding quality materials based on well-advanced technology. Our clients can avail from us at most reasonable prices. 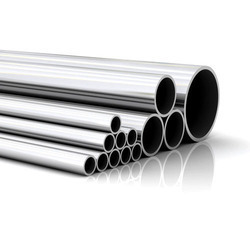 Alloy Steel Pipes & Tubes are expansively used in various industries such as chemicals, fertilizers, sugar mills, distilleries, cement industries, ship builders, paper industries, pumps and petrochemicals. We manufacture these products using supreme quality materials in complying with the quality standards. These products are well acclaimed due to their significant properties such as corrosion resistance, durability, long lasting and smooth performance. 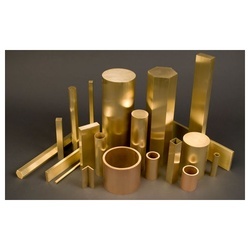 Leaded bronze alloys: presenting an array of leaded bronze alloys, leaded bronze rods, leaded bronze hexagons, leaded bronze bars that are developed from highest quality of materials under the supervision of expert engineers. The leaded bronze alloys are known for their resistance towards corrosion, abrasion and their long service life. Our expertise in the industry enables us to provide the range in undermentioned grades and composition, suitable for variegated industrial.